Making dinner is a chore for me. I hate having to figure out what to make every...single...day. Ugh! But baking? Oh, that is where I shine. Cupcakes, cookies, brownies...oh, my! And of course when I was asked if I wanted to review "The Hoosier Mama Book of Pie: Recipes, Techniques, and Wisdom from the Hoosier Mama Pie Company" by Paula Haney and Allison Scott, I said "YES!!!!" First of all, the book is beautiful and sturdy. You won't have to worry about it being on your counter as you bake up a storm. But while I was excited to get the book, once I opened it and started to read through the recipes, I started to feel overwhelmed. 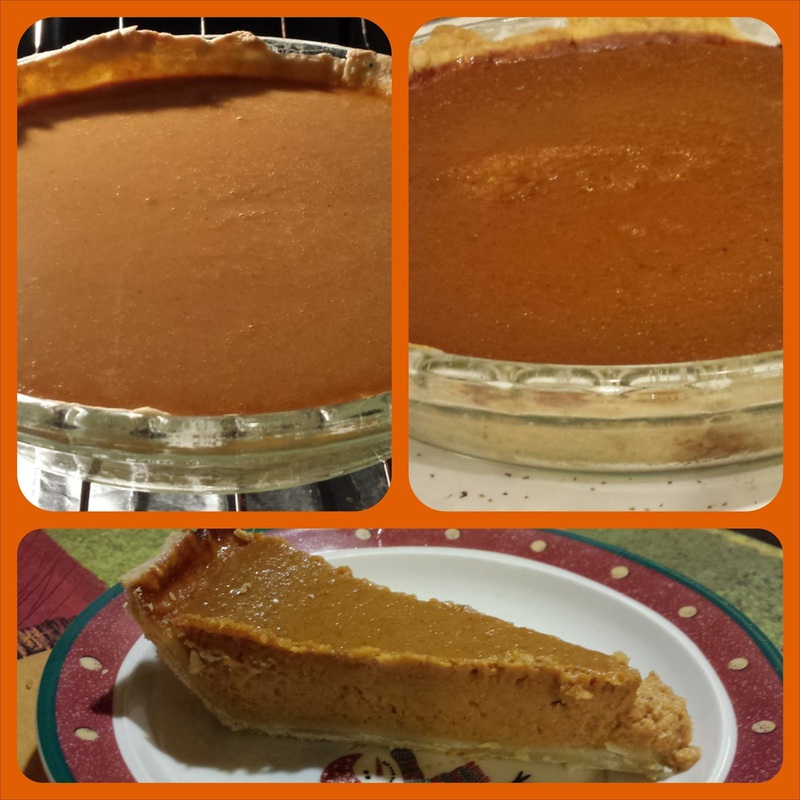 The only time I've tried to bake a pie I have used store bought crusts. And well, the results were so bad that I haven't tried making a pie in ages. But I'm committed to bringing you, my dear readers, reviews based on my experience! And then something happened...Ella took over. Yes, my sweet 10-year-old daughter took over the pie making as we prepped for Thanksgiving. We visited the Evanston Hoosier Mama Pie Company store at the beginning of November. She had the banana cream pie and I had the pumpkin pie. Both were DELISH. But she chose the pumpkin pie for Thanksgiving. OK. We got all the ingredients together and decided to make the crust on Tuesday night and the pie filling on Wednesday night. Usually she's my helper, but she quickly reversed our roles. So I am here to tell you that my 10-year-old daughter made the whole pumpkin pie, with my assistance. See the pics up there? That's her pie. AND IT WAS SOOOO GOOD! Obviously some of the recipes are more complicated than pumpkin, especially given that the pumpkin pie recipe uses canned pumpkin (there's a whole page devoted to WHY!). And we had some issues with "pulsing" the butter for the crust, but it still turned out. So there you go, you don't have to be perfect to get a yummy pie crust. Bottom line...If you have a pie lover in your life or want to encourage someone to take the pie leap, get them this book. Hoping to bring you more pie adventures in 2014! Support Viva la Feminista by purchasing your book of pie through Powells or Indiebound. Disclaimer: I received a copy of the book from a publicist, but I went to the pie shop on my own!